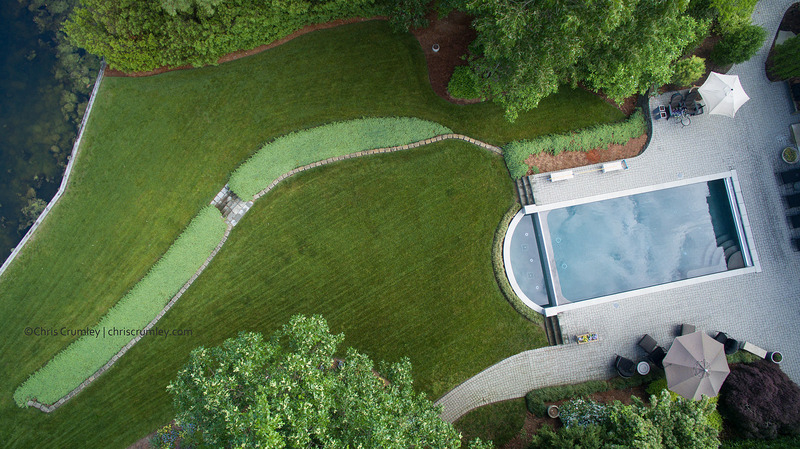 Every time I get in the air looking down at the backyard, I marvel at the creative and attractive landscape design work by Doug Aurand at Siska-Aurand Landscape Architects in Norfolk, VA. Some of the design was also uber-functional to satisfy local Wetlands permit requirements to filter property runoff into Virginia Beach's Crystal Lake. Tech: DJI Inspire 1 from Ralph Rigdon FlyHighUSA at 25m/75ft AGL. -- with Doug Aurand.